Hani show results and show reports with some photos, just scroll down. 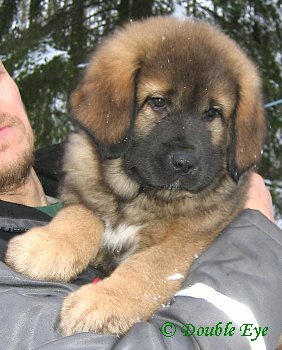 Tibetan mastiff Bheara Zimpo aka Hani is born 15th Jan 2008. 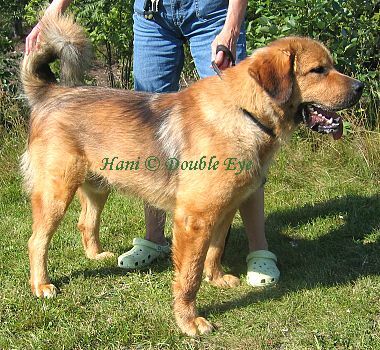 Hani is golden male who came from Bheara -kennel from United Kingdom at the age of 9 weeks. Hani was the only golden puppy on the litter and he has 6 black&tan littermates. Zimpo means sweet in Tibetan language and I thought that is a perfect name for a golden male puppy with very pretty eyes and face :-) Big thanks to Shirley for letting Hani to live in Finland. 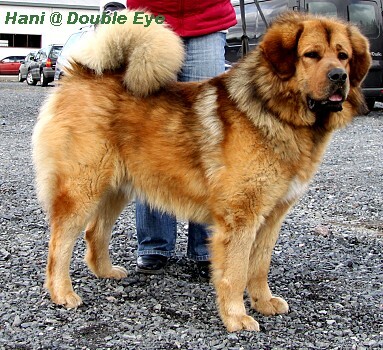 Hani lives with my breeding Aslak. Big thanks also to the owners of Aslak for taking care of Hani in the future! REPORT: Correct size male with strong body. Stop could be stronger. Good bite. Little bit wide front. Soft back. Could be better angulated in rear. Carries his tail well. Expression could be better. Moves little crossed in front. REPORT: Long, little bit flabby male who could have better stop and stronger muzzle part. Good neck and correct shape body. Loin could be more solid. Adequate rear. Moves without effort but front drops between legs both when standing and moving. REPORT: Small male with strong body. Head good be bigger compared to the substance. Mild expression. Could be vigorous. Roomy chest. Good bone compared to the size. Solid feet. Femur could be broader. Lovely expression. Good parallel movement. Lovely behaviour. Well presented. 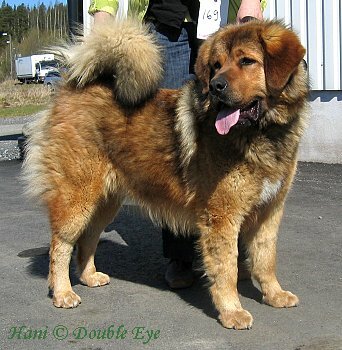 REPORT: Correct size and proportions, presented in little bit fat condition today, good muzzle and scull. Good bite, good neck and topline, good forechest, strong ribs. Excellent bone and feet, enough angulation in front, could have more angulation in rear. 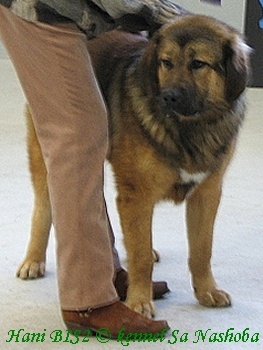 Summer coat but coat quality can be seen. It is good. Moves well. REPORT: Mittelgross, mittelkräftig, normale typ, Ausdruck, Kopf, gute Winkelungen, Oberlinie, Brust, Front, gänge, sehr gut, Bewegung, gute Haare, sehr gute Temperament und Karaktar. REPORT: Excellent type male with little bit short feet. Little bit heavy today. Good head and correct bite. Stop could be markable. Strong neck. Good bone. Feet could be little bit tighter. Good forechest and body. Good tail. Moves well. Good behaviour. REPORT: 10 months old. In strong maturiting. Could have a stronger head. Exc neck, topline, tail. Good bone & feet. Needs to be stronger in front. Moves well back & beside. Good coat. REPORT: 8 months old. Excellent head. Bite correct. Bone is so very good. Feet are very very nice. Nice shoulder angulation. Rear is a bit straight. He appear a bit high in rear at present. Substantial puppy in lovely condition. Movement is ok for his age.